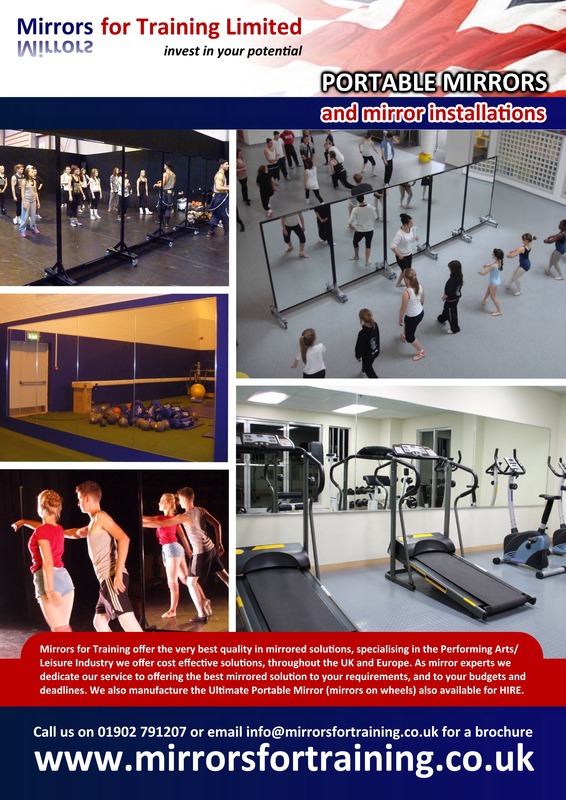 Mirrors for Training Ltd are dedicated to offering the highest quality mirrors. As a leading UK supplier and manufacture of specialist mirrored training products, offer full design, build and installation service from single mirror installations to large bespoke fits covering several walls, no job is too large or too small for our dedicated team. Our unique Portable Mirror Solutions are popular for clients who cannot have permanent wall mirrors. Mirrors on wheels can be moved around in different locations, including external usage. These 6ft x 4ft mirrors are designed to fit through standard doorways, have locking wheels to secure them in situ and are safety backed, making them suitable for all ages. And a popular solution in schools, where space is premium. Our Mirrors are designed to stack together so minimal storage is required when not in use. Our fantastic Portable Mirrors can convert any room into a multi-functional studio or professional training area.